On January 1 of this year, new lease accounting standards from the Financial Accounting Standards Board (FASB ASC 842) and International Accounting Standards Board (IASB IFRS 16, or AASB 16 for Australia) went into effect. The new accounting standards require that leases � including your real estate leases � will now be recognized on the corporate balance sheet. While these changes are intended to bring more transparency to your company's expenses and liabilities, they also mean your real estate portfolio will garner increased attention from your C-suite. First, as your leases begin to appear on the balance sheet, your real estate portfolio will have increased visibility and impact on your organization's P&L. At the same time, you can also expect increased reporting requests. As your organization seeks ways to minimize the impacts of the new accounting standards, they'll be looking to you to provide data about your real estate portfolio that you may not have been asked for previously. What could be perceived by some as challenges can, in fact, be opportunities for you as a CRE professional. As your organization begins operating under the new lease accounting changes, it's a perfect time to explore new ways to optimize your real estate portfolio and align to strategic priorities. With CRE now poised to capture more of the spotlight, you can rise to the opportunity by taking steps to lessen some of the fallout of the new standards and, in doing so, demonstrate value to your executive leadership. 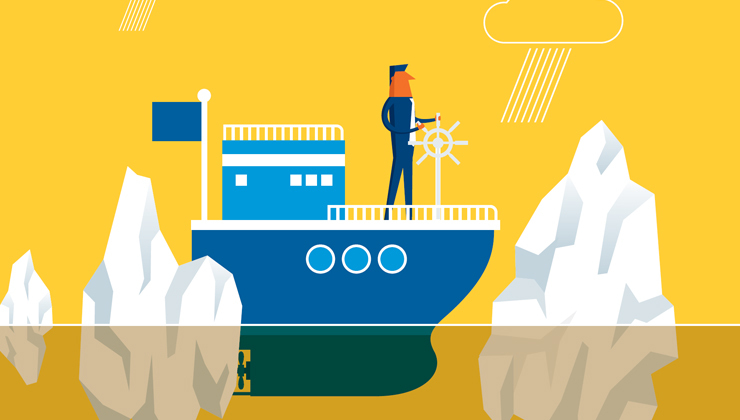 Here are three ways you can help your organization successfully navigate the challenges of the new lease accounting standards, as well as chart a solid course for the future. Workspaces are continuing to evolve as evidenced by shifts in how office space is being planned and utilized. While open-plan offices were once in vogue, now office "neighborhoods" are gaining popularity. These flexible spaces foster brainstorming and collaboration when appropriate, while also providing private and quiet spaces for employees to focus on individual work. Companies that offer remote work opportunities to employees are seeing an increase in underutilized space. And a growing dedication to employee well-being is resulting in strategically designed spaces with more daylight, quiet corners, and special acoustics that increase employee comfort and motivation. Not only is the design and use of spaces changing, but so is the entire workforce � at an accelerated rate. An S&P 500 company now has an average lifespan of less than 20 years, down from 60 years in the 1950s. And in an effort to compete with the speed and adaptability of newer, more nimble firms, older legacy companies are having to change the way they structure internal teams. Combine these factors with economic cyclicality, the expansion of new technologies like automation and machine learning, and fierce competition for qualified employees, and the questions for any organization then become how much space is needed, who is using it and when, and how well can it support employee satisfaction and productivity. To be able to quickly address changing needs and reposition existing real estate assets, whether it's acquiring shorter-term or more flexible leases, or turning to third-party spaces to provide alternative work environments, the net result is that greater agility in CRE is required. In fact, 67% of respondents in a recent CBRE survey believe that real estate portfolio agility is critical to their overall success. To be able to optimize space and increase agility effectively, you need to be able to draw upon a reliable, centralized source of data. It's this centralized data that provides the foundation upon which you can build a center of excellence to help you prepare for the shifts ahead and strategically position your organization to meet them. Your CRE center of excellence should encompass all of the necessary information about your properties and leases to act as a single source of CRE truth for your organization. It won't just provide the data you need, but it will enable collaboration and knowledge sharing with other areas of your business, like Finance, HR, and others who play a part in CRE initiatives. Equally important, you can use your center of excellence to standardize your CRE strategies, processes, and best practices. As you bring more rigor to your decision-making, you'll find that documenting and formalizing your processes and best practices doesn't just help you rationalize your real estate activities and decisions, it can elevate CRE's role and influence to a higher level in your business. When you're able to easily access and analyze data about your entire real estate portfolio, you can move beyond simply showing value to exponentially increasing the value you provide. Armed with the right tools and information, you can help your organization minimize the impacts of the new lease accounting standards by optimizing your space utilization and lowering total cost of ownership. You can also increase your organization's agility and response to changing workforce dynamics and real estate trends. As regulations, economic cycles, and industries evolve, CRE will continue to play an integral role in optimizing workspaces and their associated costs. By establishing a center of excellence around an Integrated Workplace Management Solution (or IWMS), you have the strong foundation you need to help your company navigate the challenges of today � and tomorrow. With easily accessible data at your fingertips � everything from occupancy rates to property value to maintenance costs � you're able to analyze how space is being utilized today and identify ways to increase efficiency. You also increase agility by collecting all leasing information in one place to quickly determine the most viable facilities in your portfolio and find opportunities to adapt and expand. To learn more about how you can help your company successfully navigate the new lease accounting standards, click here to download Trimble's FREE eBook. Craig Gillespie is a Business Area Director at Trimble. He is responsible for the strategic direction and execution of Trimble's Real Estate division, including go-to-market, solution/program definition and partner strategy. 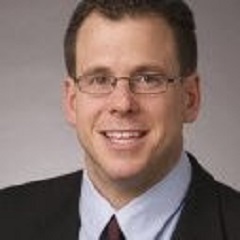 Craig has more than 20 years of executive and financial management experience in both publicly traded and venture-backed private companies. Managing lease compliance, measuring up-to-date occupancy and utilization information, IoT integration, detailed real estate cost analysis, reporting and portfolio benchmarking� What challenges do you face today? As a global specialist with over 35 years� experience, Trimble helps customers transform the way they plan, manage and optimize their real estate portfolios, buildings and workplaces through cloud-based integrated real estate management software. Meet our Realcomm & IBcon 2019 Advisory Councils! It is the collective insight and expertise of these global thought leaders who will aid in providing high quality education on the most significant topics impacting Commercial and Corporate Real Estate today. 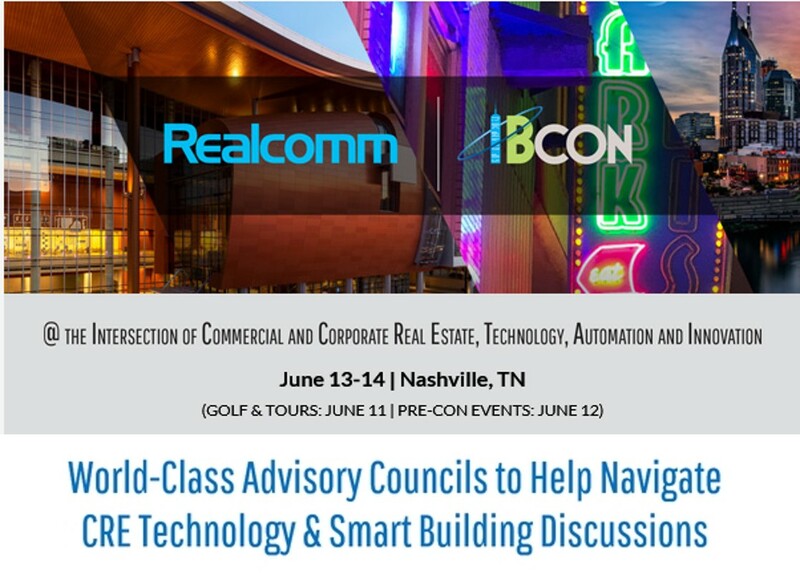 VIEW ALL the Realcomm | IBcon 2019 Advisory Councils.